Ultraflex Systems has hit the ball out of the park with our magnetic receptive sheet, triple play Signetics products. 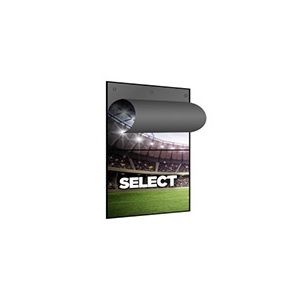 Our Signetics magnetic receptive media line offers advertisers a cost effective branding solution that features easy on-site installation, superior durability and exceptional ink adhesion. The magnetic receptive sheet products in our Signetics line include Signetics Select, Signetics Duo and Signetics LTX, and branding and advertising opportunities are endless when these products are used for applications such as wall graphics, POS graphics, interior décor and more. You can also save money by using our magnetic receptive media, because they are so easy to install that professional installation is not required. Our Ultraflex Systems team of subject matter experts and our network of experienced and knowledgeable resellers can handle all digital media questions and offer product assistance. Getting our quality magnetic receptive sheet material or other digital material to your locations worldwide is not a problem for our International Logistics Department at Ultraflex Systems. We stock over 100,000 rolls of material in our five North American warehouses, so contact us today for pricing or to place an order for any of our Ultraflex Systems printable media.